There are a lot of ways a business can waste money on digital marketing. Like with everything else in business, you need to spend your money wisely to get the best results. Jake and Mirela discuss the top seven ways they’ve seen businesses waste money on digital marketing. Learn some of the basic pitfalls of digital marketing basics like website design, search engine optimization (SEO), and paid online advertising. We’ll also explore a few of the most subtle, yet even more dangerous, ways poor digital marketing execution can have dire consequences. Discover how strategy, trackability, opportunity cost, and even reliance on gurus can decimate a business. 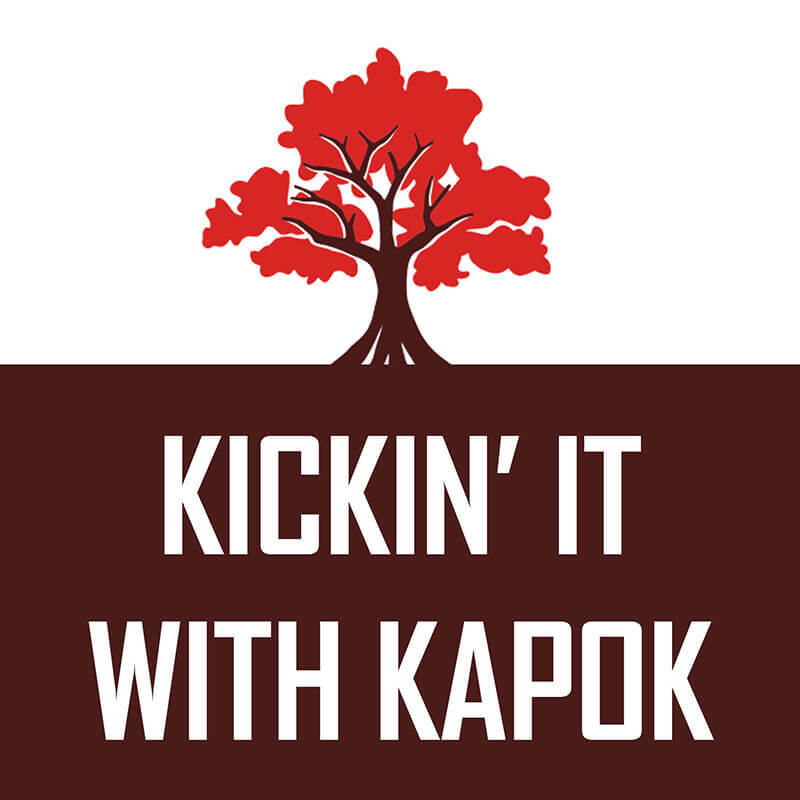 Welcome to Kickin’ it with Kapok, a podcast about business stories and marketing advice. I’m Jake. This is episode 24, “Top 7 Ways To Not Waste Money on Digital Marketing.” Today, Mirela and I will be talking about some of the most important things to avoid in digital marketing. Let’s jump right into our list of ways not to waste money on your digital marketing efforts. I know, let's say it again, not waste money. Do not waste money on digital marketing. But that doesn't mean there's not things that you can't do with digital marketing. We're just going to go through the ways that some people do. but they're not really doing anything. Yeah, and I remember back in the day when I was in school at USF. We had a case study about JCPenny. How they got into a lot of trouble with hiring some type of a company that promised that they were going to rank them. I think, was it for a little black dress, or? Dresses are what was in the news. Dresses or something whatever the case was, and I think JCPenny ended up paying lot of money to get to, you know, the number one spot in organic search for this dress. And it worked for a little bit and then I think Google realized that JCPenny was somehow gaming the system and then they blacklisted them. And then for months JCPenny just was kind of blacklisted. They were not showing up in searches. Yeah, they were like on page two or three I think. Previously, they were ranking number one for keywords like dresses. They basically paid someone to just link a whole bunch of websites to their website using the word dress as the link that you would click on, and that's one of the ways you can get to the top. But, if you don't follow Google's rules then like what happened with JCPenny you end up penalized. Yeah. So, you really want to make sure what these people are doing and it's gonna really help you. And the other thing, sometimes if you get into really shady people is, when you say you want to quit, then they'll threaten you with doing negative SEO. Oh that's good. That's kind of savage. If you quit now, we're gonna penalize you and it doesn't often work, but still the threat can be difficult for a small business owner to contend with, and they have to decide whether they want to keep wasting money on it or you know, whatever it might be, so. I guess the bottom line, I think Judge Judy says this, I don't know, someone says it. Like, if its too good to be true, it probably is. If someone comes to you and says, ya know, give me a thousand dollars and I'm going to guarantee that you show up on page one of Google, it's probably a red flag. Anyone who guarantees results and SEO for a fixed amount of money is probably lying to you because it's always changing and you have to really stay up to date on your game if you're gonna stay ranked highly. bit more features, but it's still not what you want. And then, you think, I'll just add it in the next phase. So you just keep doing this website in increments and then you realize at the end of it, oh my god, I've just had like, a hodge podge of crap, really, and my website still doesn't have a cohesive look. It still doesn't do what I want it to do, but I have spent so much money, that now I can't really hire a professional to give me a website that I want because I've already put so much money in. Yeah, it's kind of like a car almost ya know. You could buy a Honda, you could buy a BMW, you can buy a Ferrari, but it's really hard to turn your Honda into a BMW, or to turn the BMW into the Ferrari. And if you did hire someone to make the modifications or whatever, you would end up spending more money doing all those modifications than buying all three of the cars. It's kind of similar with the websites, like you're gonna be paying people lot more to be incrementally improving it then to just plan out exactly what your website should entail and making sure you get what you want. And you can add things in the future. You should just really plan it out and make sure you're not wasting money by just, ya know, doing it in a weird way. Yeah, and we come across these situations often. Someone comes to us and says, you know, my nephew built this website for me. And then I actually found someone on a website online, and they added this other phase to my website, and now I want you guys to just add more to it, and clean it up. At that point, Jake, you get really upset at that point. You're like, oh, I can't be cleaning this up, this is a mess. I myself, I'm kind of a website simpleton. I still don't know like how the backend works. I always think like, oh like why can't we just go in and clean that up a little bit. I don't think that I get upset with people. I just have to explain to them that if you're cousin or your nephew made the website, unless they happen to be a professional website designer/developer, they probably didn't take many things into account that should of been taken into account. So it's not so much as a cleaning up as it is an overhaul. You know, imagine that you ask that same person to build you a car. They're just not gonna think about you know, necessarily the things that a professional would. So it's just gonna be a bigger job to clean it up then to start from scratch in most cases. in increments, but you're not thinking about the increments or how the increments will work. Like, if you're gonna do it in phases, you need to make sure you have a strategy for how it's going to work and make sure that professional has explained that that strategy is good strategy or whether you've done your research and learned that it is viable thing to make this website and then add the E-commerce component later. Or, if you're running ads that you know, whatever the case is, just make sure you have a strategy. We've talked about before how, I think, half of businesses fail within the first five years. The number one reason that businesses fail is a lack of strategy or unwillingness to shift from a strategy that's not working. Yes, and what we have noticed that a few people have or they do, its common, and sometimes we suffer from this a little bit too, is just chasing shiny objects and shiny ideas because they seem so exciting. Sometimes when you are in the middle of doing what you're doing and you're feeling like, oh my god nothing is working out, like, something has to give. Then this shiny thing shows up, and you're like, oh my god like, maybe this will solve all of my problems. And, which sometimes the shiny objects can work out and you can you know, make it rain overnight and become a success, but most of the time they're just distractions. If you don't have a strategy in place then you don't really have a vision in terms of where you wanna go, then you're more likely to fall for those side distractions and then you know, by the next, I guess time you think about things it's the end of the year and your like, oh my god what did I do all year? I think one of the biggest misconceptions and fears that people have with strategy is too, it's like, I don't want to commit to the strategy because what if it doesn't work? But, that's not really what you're doing when you're doing a strategy. You're strategizing what you think is the best course of action now. You should definitely change if a few months or years down the road you, you think a new strategy is better. Having a strategy is just about constantly thinking about what's the best course of action and sticking with it until you have new evidence or ideas that support changing your strategy and migrating to this new better strategy that you've thought of. Right, it's definitely not a set in stone, set it and forget it, you know, you're locked in. Like, if whatever decide to do on January 1 you have to be doing it on September 9th, or whatever the case is. No, if you decide that you're going to do something in January 1 and then June 1 comes around and you're looking at your stuff and you realize this is not working, then you should change course, and you're not forever locked in. This brings us to the next black hole of ugh, potential to waste money digital marketing and that's online ads. That's specifically we should talk about the most popular online ads which are Google ads, Facebook ads. I think the good and bad of online ads like Google ads, and Facebook ads is the good is that they're very effective. You can do a lot and barrier to entry is very low. The bad is, that you can do a lot and the barrier to entry is low and you can pretty much go in there as a novice and just throw a whole bunch of money at these campaigns and feel like, oh my God, I'm making stuff happen, I'm running campaigns, like things are, I must be doing well I'm spending a ton of money. Well if you don't know what you're doing, Google will take your money and it will not always bring you the results you want. Especially if you don't even tell Google what you want from Google. Google will always take money. Yeah, and I don't think Google is doing anything wrong. They're just, you have to go really research and read and learn about how it works and they make it very easy, but its not necessarily simple to do it well. They have like, things that like pop up, like oh, do you wanna do this, do you wanna do this? And you're like, of course, I want to do whatever you guys says is a good idea. But unless you really understand what is really going to happen when you click all those buttons, you can end up wasting a lot of money, if you haven't told Google ahead of time. Like, okay this is what a conversion means to me. This is how much money I make when that happens. Let's make sure that we're only running ads that are going to yield a positive return on investment. Unless you know how to set it up, it might not work out well for you. And, you also need to know how much money you should be spending on your conversions. If you bring a customer and you spent two thousand dollars to acquire that customer, but that customer only spends a hundred dollars with you. Is that really the best way to spend your money? No. And so you have to know all these, and the other common thing that we have noticed with some businesses is that they will not set up their ad campaigns where Google ads are not showing up when someone searches for their name. So, if somebody already knows your name and their searching for you, your ad shouldn't be showing, they shouldn't be clicking on your ad. In most cases if they have a competitor that's running an ad against their brand name then they might need to run ads. But it's definitely something that can waste a lot of money if you're not very careful about it. And its just one of those things that unless you've done the research and you know all of those pitfalls, you're gonna fall into them. Exactly and then the Facebook boost my post situation. Like, it's so easy, you post something and Facebook is like do you want to boost it? Like, yeah I wanna boost it. And then like in five minutes, you're like, oh my god my twenty dollars is gone, like, what did I get out of this. Right sometimes you should boost posts, but it needs to be part of that strategy. You needed to have decided ahead of time like, does this work, does it not work? And I think speaking of Facebook, this is number five is paying gurus a lot of money, a lot of them advertise on Facebook. The rock stars, I don't know, the list goes on, so tell us about them. A lot of them have a lot of good knowledge that you can learn from them and you should learn from them if it makes sense for you. The problem that you can run into is when that's all you're doing. You're paying ninjas and gurus money constantly taking their classes and just learning and becoming an expert marketer yourself. You need to be executing on what you learn. You need to only be buying from people who are actually teaching you things you can execute on. And if you're in that situation where you're really learning things and you're going and executing on those techniques, then that's great. There's also plenty of free information that you probably should take advantage of first. And if you are getting good information, like I said, you know, execute on it the. Just don't get stuck in a trap where you're constantly paying, you know, experts more and more money to learn something about more and more things that you'd never utilize. Yeah, I kind of just realize like that the ninjas are essentially teaching you to become a ninja. But that's like next level ninja. Like you don't need to be a ninja. Like, is your goal to start having your own ninja classes? Like a lot of them, I've watched some of their stuff, a lot of them are not giving you anything tangible. All they're saying is six figures, seven figures, look at my Ferrari, I'm like so low key humble, but I'm so wealthy and then, but at the end of the day when you really think about it, like what have you learned? Like, what can you do from all of these things that they've told you to actually execute and actually accomplish your goals? Like, okay, you'll learn how to become a ninja, do you want to be a ninja? Yeah, what's the best you know, thing for you to be doing? Is it becoming a ninja or not? And some of them, it probably follows the 80/20 rule. You know there's probably 80% of them that are totally wasting your money and there's 20% of people who have real good educational material and they just need to make a living so they're charging for it. I think the biggest takeaway here in terms of not wasting money is, don't be spending money on stuff you're not using. Yeah like, if like, I'm not saying don't try any of these ninja classes. But, before you buy them, search on YouTube to make sure they are not free. And then if you do decide to buy one of these marketing ninja classes, definitely pay attention to how many you're buying. If it's like day seven and you're on your seventh ninja class and you are falling for all of the one time offers, then you may have fallen victim to the ninja situation, and you're just like in their sales funnel. If you look at your expenses at the end of the year and you spend more money on marketing classes than on marketing, you're doing something wrong. Like you have a problem. Like, you need to go to like, ninja anonymous situation. N.A. Ninja anonymous, not narcotics anonymous. Right It can spiral out of control because a lot of the ninja courses are very feel good and a lot of them seem like their like, people next door like, oh my god this guy has a wife and his kid. He seems to be very normal, like, he's telling me how the month before he was strung out on drugs and now he found this power marketing, and now he's like a legitimate business man. Like, how did he do it? I'm not saying that anyone's doing this, but go on Google and you can get a mansion on AirBnB, you can rent luxury car, you can get a film crew and pretend like you're living in a mansion, very cheaply. So, don't trust everything you see on the internet. Yeah, it doesn't take a lot to be a perceived ninja or to call yourself a ninja. I guess we should get into the next point. Number 6. Which is about having realistic timelines, and goals, and tracking everything that you are doing. If you don't know what's working, then you cannot decide whether or not to do more of it or do less of it. So, make sure that you also understand that different marketing efforts have different, I guess timelines, they require a different amount of time for you to realize your result, and they have different return on investment. For example if you're running a two week discount coupon special, those results are going to be more instant. Like, people take the coupon, they redeem it you're like, bam bam, I see like how many people used this. If you're running a branding campaign or something that's less tangible then that's going to take a longer period of time. But, if you're not tracking any of it, then you could be wasting most of your money. You have no idea what's going on. Yeah, track it and realize when do you need see that return on investment. Return on investment in and of itself doesn't have a timer on it. It's just how much money will this investment eventually return to me? But if I'm starting a business and I have enough cash to maybe run for two years, I need to figure out what kind of things are going to give me that return in that amount of time. You know, branding might have three, four, five year time horizon, direct response marketing is probably going to be months. So think about all of that when you are determining both you know, is this going to give me a return on investment and is it going to give me that return in the time that I need it to? Like we were talking about earlier with the digital ads. If you don't, if you haven't told Google and Facebook what your conversion is and how much it's worth to you, how can you expect them to know whether it's gonna yield a return on investment for you that works? Yeah, you just don't know, you don't know what you don't know and before you start running any campaigns, think about, what do I want to accomplish from this? How long will it take for me to realize this accomplishment? And how much is this going to cost me? And if you don't think about that, that's where you're gonna get the wasted money. You're gonna not even know if it's wasted or not. You're gonna have done stuff, you didn't track it, you don't know if you wasted money or not, and nine out of ten times, you've wasted money if you don't know if you've wasted money. Exactly, and you can't really can't go in with wishful thinking and saying oh this is going to be a magic pill, it's gonna alleviate all of my problems and I'm going to wake up and things are gonna be amazing. Which kind of reminds me that I forgot to mention something when I talk about websites and how you can end up wasting a lot of money on websites. And one of the things that we always tell people is, to always try to get the website that you need and not the website that is the cheapest. Same with all of your goals and tracking, everything needs to be realistic. You can't just be kind of like half doing it, but hoping that you're gonna get the most amazing results. Yeah, with the website I say figure out what you need from your website and then figure out your budget for the website and see how those two relate, and then you can make the hard decision about what you need to do. Right. Marketing is not like magic. There's a lot of behind the scenes of crunching numbers, and planning, and goal setting and all of that stuff that most of us don't like to do because it makes you feel uncomfortable and it's hard work, but it has to be done. The final one, number seven. So opportunity cost. A big misconception people think, if I'm working, then I'm getting stuff done. But, every single thing you chose to do as a business owner or really anyone at a business there is an opportunity cost. You're not doing all the other things that you could be doing, every time you chose to do something. So you need to make sure the things that you're choosing are the best use of your time. Is there someone else that could be doing this instead, that could do it, you know, faster than me, maybe they're more experienced so they're going to get it done faster. Or maybe it's just an entry level task that's better suited for someone who's just getting started at your company. As the higher up you get as the business owner you should be doing the highest level tasks because presumably you're running the business. Exactly, and at Kapok Marketing, well me actually, personally I believe everyone should be doing the things that they enjoy the most and that they're the best at. And if you are you know, spending time doing things that you don't really enjoy, let's say that marketing is not your cup of tea. But you're a business owner and you think that you need to have all these multiple hats, and you need to become a marketing expert. Well, you're becoming a marketing expert at the expense of neglecting other areas of your business that you're really good at and you could be actually taking way further. So, you should definitely think about that. I think it ties in with the return on investment thing and the tracking. You need to be thinking about how is what I'm doing gonna ultimately generate revenue, especially as a business owner. I think that's one of the biggest responsibilities of the people at the top of the business is making sure that the business stays in business and that everyone can get paid. That means, is what I'm doing going to eventually generate revenue? Is it going to generate the most amount of revenue? Or am I reducing expenses? Those are the most important things, and at the top those are the sort of things that you really need to be thinking about. If you're not doing stuff that's not in furtherance of that then you're falling victim of not paying attention of what the opportunity cost of what you're doing is. Yeah, all the stuff is hard. It's not easy to run a business, and own a business, and stay out top of everything. But, if you don't then you'll end up wasting a whole bunch of money, a whole bunch of time, which is also money, and getting frustrated, and nothing good happens from that. Yeah, for sure. So you'd have to definitely need to pay attention to all of those things. Alright, well I think that completes our list. Hopefully we put out some golden nuggets for people to learn from and I think that's all I have. And with that, I think that’s it. It’s been a great 24th episode. And definitely, do feel free to reach out to us if you have any questions or comments about anything we talked about today or marketing in general. You can visit us on our website, KickinItWithKapok.com, or on social media. We're on Facebook, Instagram and Twitteras Kapok Marketing. This has been Kickin’ it with Kapok brought to you by Kapok Marketing. Thanks for listening. We’ll have something just as great for you next time.